Head on over to Mama Kat's place to join in. What’s in YOUR name? What does it mean? Why was it given to you? "We Could Have Named You Dual Quads"
I always wanted to be named Jennifer. pretty much every other girl was named Jennifer. It is still one of my favorite names. I never loved or hated my name. so at least the name was kind of original. So, how did I end up a "Holly? "...My parents were young- fresh out of high school and no cash to spare - when I was born (gotta give them credit though...they have been married for a long, long time - I am not saying how long...it would give away my age!). 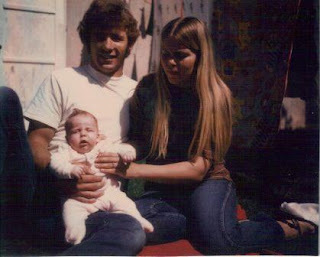 So, anyway, time was ticking away...there was going to be a baby (me..of course! ), and they had no name...but they had a car. Not my Dad's Car....I believe his was blue. Somewhere there is a photo of my pregnant mom and my dad in the car. 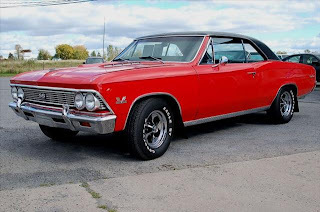 My Dad was the proud owner had a 1966 Chevrolet Chevelle with a "500 hp 327 cubic inch" (whatever that means). Well, sadly, it was determined there was no way that car was going to work with a baby...so he had to sell it. Just before the dreaded S-day (that would be sale day) came, my parents were discussing the name situation. As legend has it, my Dad, who was working on his car, looked down and saw "Holley" on he carburetor. He said "Let's name her Holley." Mom didn't disagree. She dropped the "e" and my middle name starts with a "C" so we don't ever forget the carburetor. This story proved to be quite entertaining throughout my school years. My mom would come to school every year on my birthday - with treats - and tell the story (she may have only told the story once, but to me, it seemed like every year!). It really wasn't so bad now that I think of it...later the guys thought it was kind of cool and it is way better than her telling a story that had to do with where I was conceived or what they were drinking when it happened. "Don't ever complain, we could have named you Dual Quads." This was the "new" family car. It was no Chevelle! I have an award for you darling! You are lucky, Holly is way better! Stopping by from Mama Kat's Writers Workshop! THAT is a great story! I wish I had a good naming story! Your family and their cars crack me up! Well, at least they didn't name you Bug, after the second car. They could also just have named you Chevelle...aren't you glad your dad saw the carburetor first? Ha, that is a very original story of naming one's kiddo. Love the story...wish mine was that cool. I was born on the birthday of the local store owner. She told my folks she'd give me five dollars if they named me after her. yeah, you got it, I was sold out for five measley bucks! Wow that's great that you know where your name comes from. It is kind of a cool story, it's better than just 'my parents thought it was a nice name'. What a fun story! And, yes, Holly is better than Dual Quads! My name is Corve. I have an unusual name. It means The Crow - from Corvus it is a small constellation. Holly, this is the funniest name story I have ever heard! Just so you know, I like Holly much better than Jennifer. I love this story- I'm always interested in how people pick names, since we have a few unique ones in our family. You definitely lucked out! And coming from someone with a very vanilla/common name (Nicole), trust me, you are better off not being Jennifer. Great story, I wish I had a cool story for my name. Wow! Your parents were young. I think it is great they stayed together all these years and that you have a name which is significant to the history of your family. I've always loathed my name, but I think you got so lucky! I think Holly implies femininity and creativity, intelligence, etc...Erin doesn't sound like anything. And can I just complain for a sec about how many people DON'T know how to spell my name? Ridonkulous! I love the name Holly! You came out great with it. Your dad's sense of humor is great! That is too funny. I used to think my name was so plain and boring. But when I learned where it came from, I didn't think that anymore. This is great! I love your family stories! I always get such a good chuckle! And I happy to love your name! You are so wonderful at these posts/stories!! I have to agree that at least they didn't choose Chevelle (which I actually know and grew up with) or any other "weird" car parts/models. lol! I love it! Good job at the workshop. I had a friend whose name was Porshe and her sister's name? Mercedes. Her dad collected cars... apparently they though their kiddos could add to the collection. It could have ALWAYS been worse. That's a really interesting name origin story. Usually it's "we just liked the name." 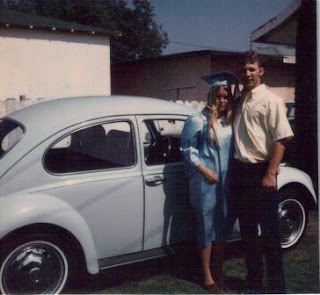 Interesting that your parents thought that a VW Bug was more family-suited than a Chevelle. It seems like the Chevelle would be roomier. You can still tell your age...you are just a kid. I have to say that your mom's hair and outfit make me think I'm close to her age...how can that be? My friend from high school, Sherri, married Wade Berry, making her Sherri Berry. 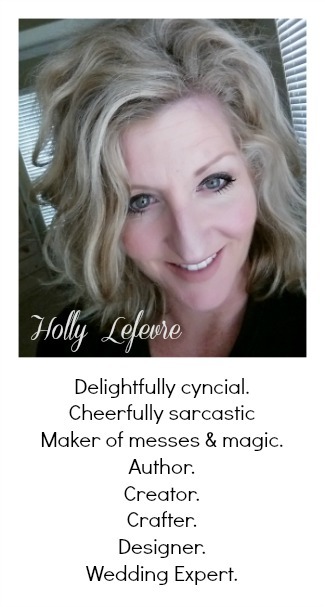 Just to be extra cruel, after having six boys, she gave birth to her first girl and named her... wait for it... ready... Holly. I think thats a great story! Better than not having a story at all. Given the options, I'd say you got the best one. No exciting story here ~ I was named after my aunt. That's a cool story. Be proud of the name Holly...it's a nice one. I like Holly, it's pretty. I had my name changed 4 times the first week of my life. Goof thing my mom had a friend working at the birth registry. So cute! Sounds like your dad really loves his cars. I love your Mom's 70's look- how I adore that Marcia Brady hair, seriously. So cute. I'm here from Friday Follow and I'm now following your blog! Please come follow mine! Have a great day! That is too funny! Dual Quads! Ha, you could have been like, Michelin, or Beetle, or all kinds of funny things. It's funny that they went from the big car to a VW!!! That is an awesome story! I don't think many have stories as good as that one for their names. That is great story! Holly C is much, much better than Dual Quads. Oh... don't hurt me... but it was Dolly Madison!!! LOL!!! Your writing style is great!! An great read! Never would I have imagined that the name Holly came from a car! And not just any car...a really cool one! I love that! Not your normal run-of-the-mill Holly...no way! And yes, Double Quads would have been unfortunate! Wow! What a story! Definitely better than how I got mine, which is that my parents named me after the Mayan Indians (for no particular reason). I totally want that VW Bug. It was my first car. Now you can't find a body with no engine for under $5K. That's just crazy talk! Oh that's funny! lol. My parents, a couple yrs ago, bought a chevell just like the one in your pic! lol! It's a 64 SS.